Well, it's been a long hiatus without writing but I have now returned for what I hope to be a more stable run of posts. 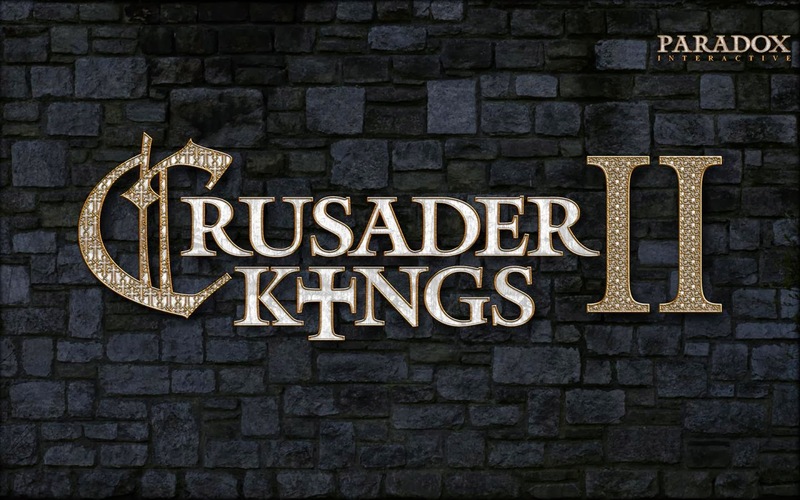 In the meantime I've acquired more games of which Crusader Kings II stands out as a shining example of a well executed game in what must be considered a niche market, namely that of dynastic strategy games. In Crusader Kings II you play as the invisible guiding hand of a noble family trying to survive and flourish during the Middle Ages. Your tools for increasing your own power and diminishing your competitors include everything from strategic marriages and alliances to forging fake claims on your neighbours lands and assassination! Many have deemed the game a "Habsburg simulator" after the way the Habsburg family successfully used the same tools in real life to create the Austro-Hungarian Empire which prospered until the First World War. The Medieval period was one of great turmoil caused by religious and cultural friction together with the lust for power, glory and gold. 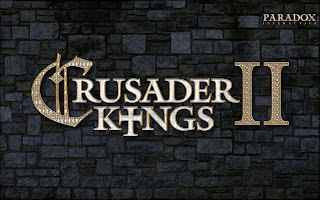 These factors are all reflected in Crusader Kings II in that you will most certainly see war between Muslims and Christians and between Frenchmen and Germans, however, certain events such as the reconquest of the Iberian peninsula by Castille are in no way guaranteed to happen. Instead, it is up to you to see what mark on history you can make whether you start out a count, a duke, a king or an emperor. For this Let's Play I will be playing will all DLC, including Sword of Islam, Legacy of Rome, The Republic and The Old Gods. More on the settings in the next post!